Would you like to learn the No. 1 Key to Success and true Fulfilment? Well, it’s how you deeply perceive yourself, your Self Image. Confidence isn’t something we’re born with, it’s developed. If you’re raised with praise, it’s likely you have a very strong self esteem and belief in you. If you grew up with criticism or high demands or if you experienced a so-called high emotional impact in life (highly emotional event like loss of a loved one, business crash, being let go from a job you loved, break up, divorce and so on) confidence crumbles and most of us don’t have the technology to change it into a better model. We can never outperform our deepest, subconscious thoughts about ourselves. The thoughts of who we are, how much we’re worth and what we’re capable of set a limit to our accomplishment. We’re the only ones who can identify and change our self image and if you’re looking to make a leap with your results, you first need to become the person who has accomplished these results, mentally and in your daily activities. 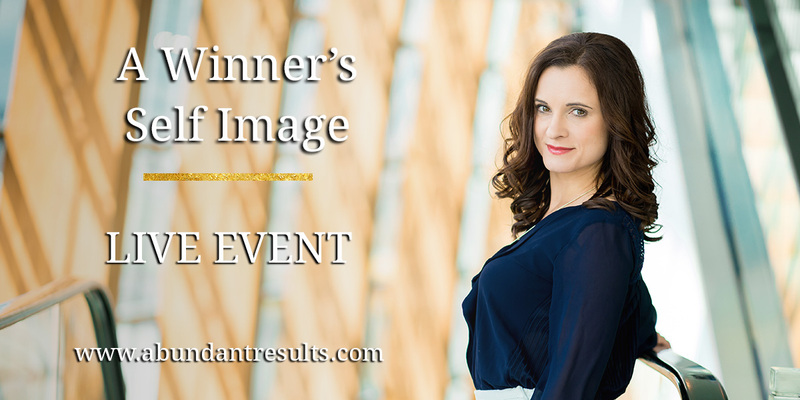 Learn how to change the image of you and watch your results skyrocket! It’s not who I am that’s holding me back. It’s who I think I’m not. Ewa Pietrzak is a success coach and Thinking Into Result Consultant, trained and mentored by Bob Proctor. She’s passionate about helping people experience and express their potential. She enjoys showing clients how they can get whatever they want, easier and faster than they thought before. After many years of research and interest in personal development Ewa’s left an unfulfilling career in finance, multiplied her income doing what she truly loves and became one of Bob Proctor’s top consultants globally. Now she’d love to share the tools with you so you can create the life you truly want. Thank you for subscribing - lookout for this weeks inspiration video helping you to achieve all you desire!